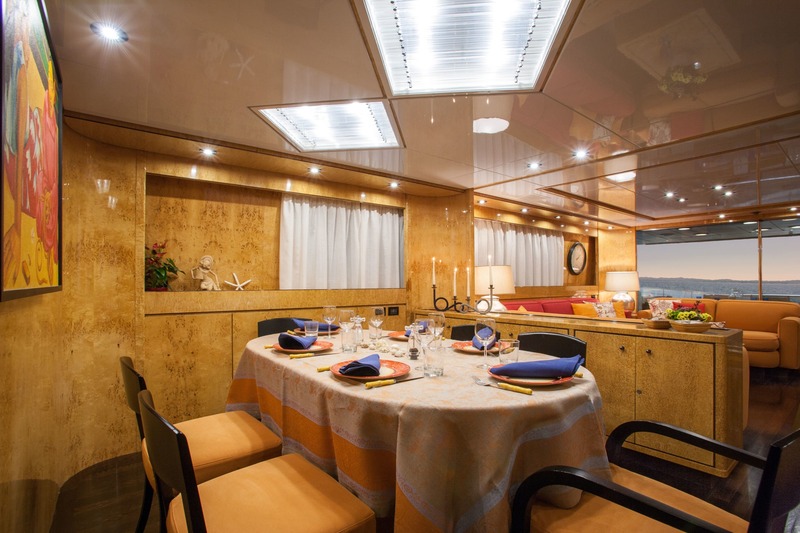 Motor yacht MEGALIA measures 25.35m (83' 2") and was built by the Sanlorenzo shipyard and launched in 2000. 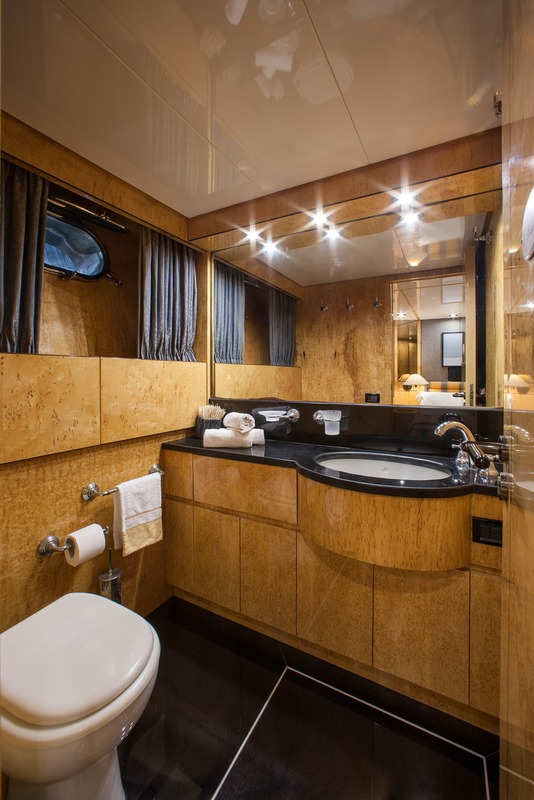 She was refitted in 2015, offering accommodation for up to eight guests in four cabins. 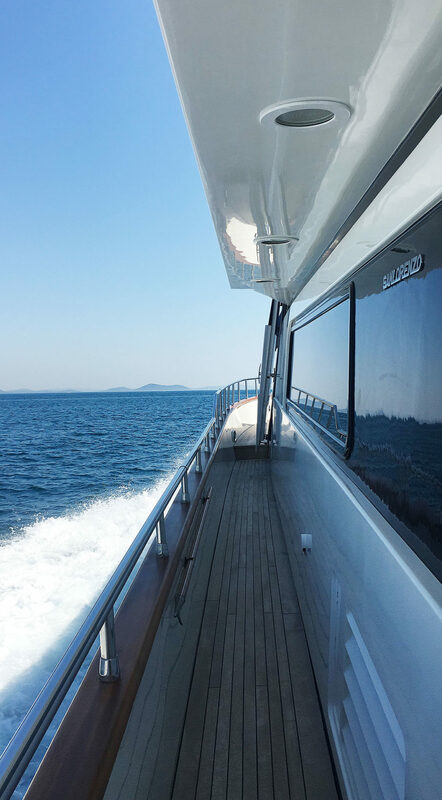 There is a crew of three servicing the yacht and guests on board. 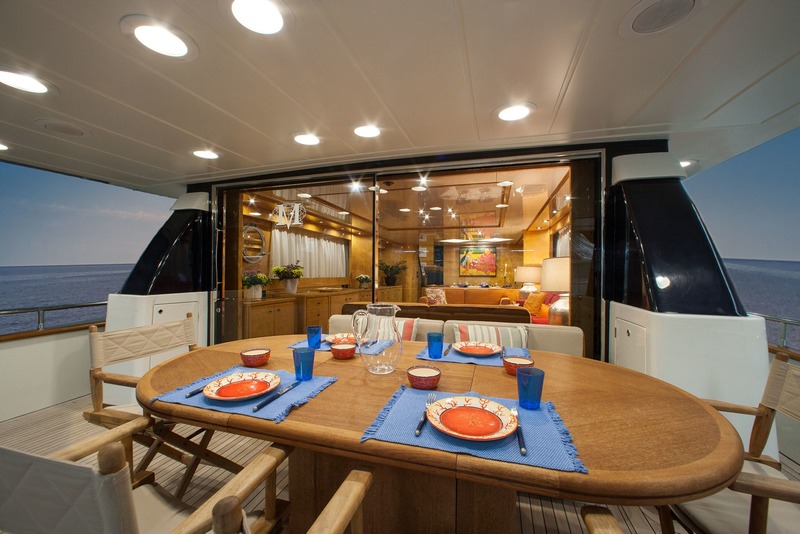 Guests can dine alfresco in the fresh air with an aft sofa, a broad dining table and additional chairs. 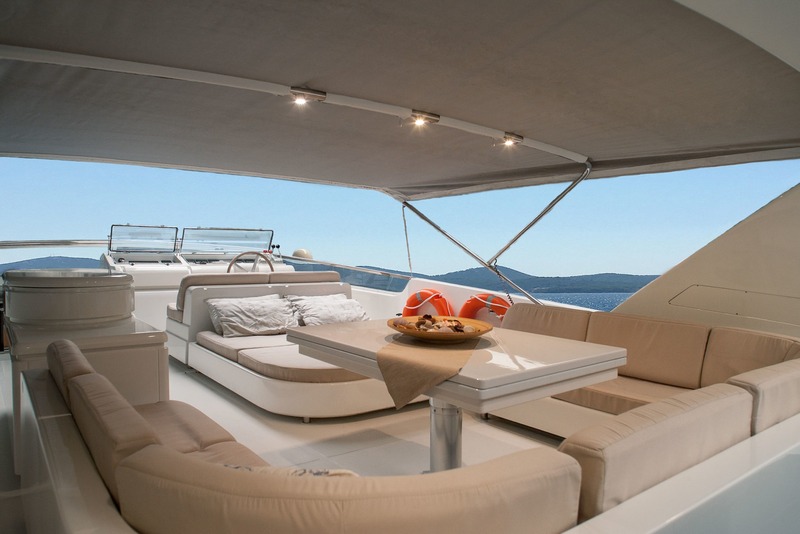 Two sets of stairs lead down to the swim platform where there a ladder allows for effortless access into the sea. 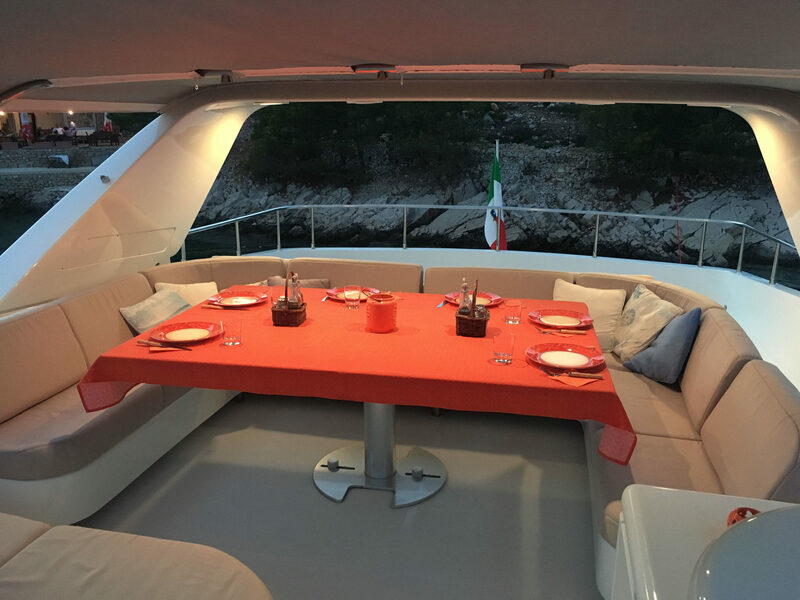 The flybridge contains two double-sized sunpads and beneath the hardtop, there is an additional daybed and a C-shaped sofa around an alfresco dining table. 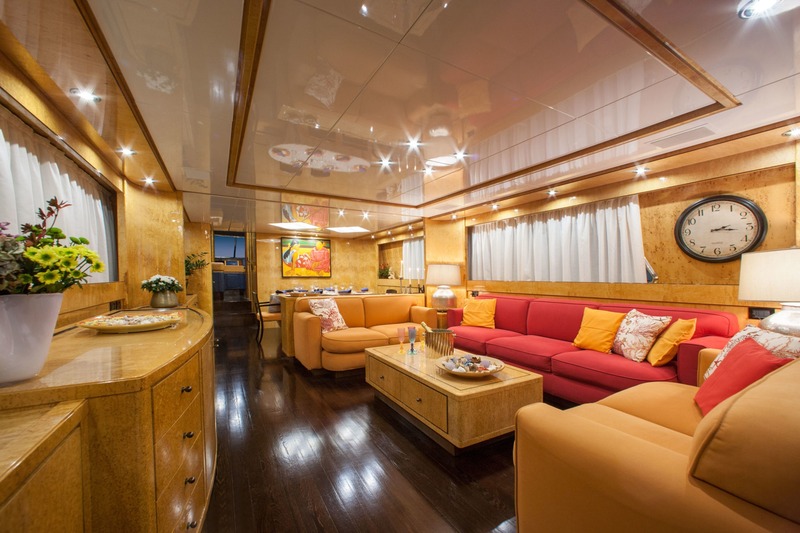 The interiors use a light and warm colour scheme primarily in tones of yellow and accents in bright pink. 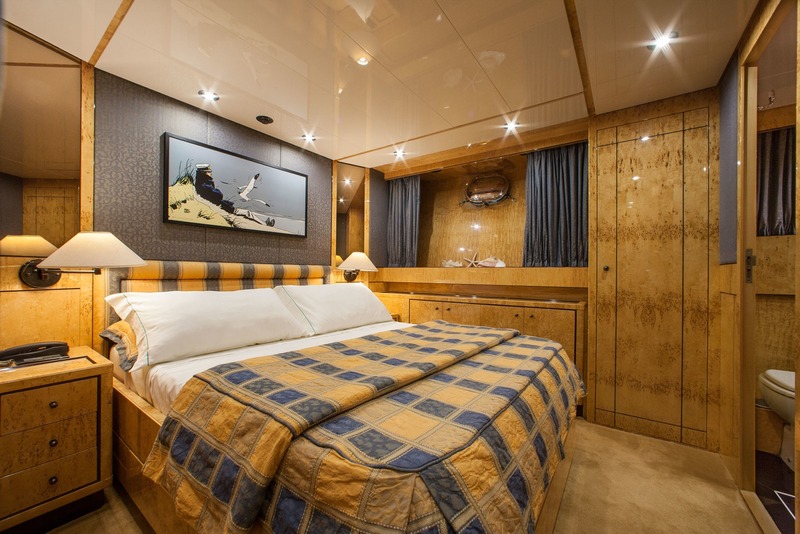 The lower deck hosts the guest accommodation of a Master suite, a double cabin and two twin cabins, all with en-suite facilities. 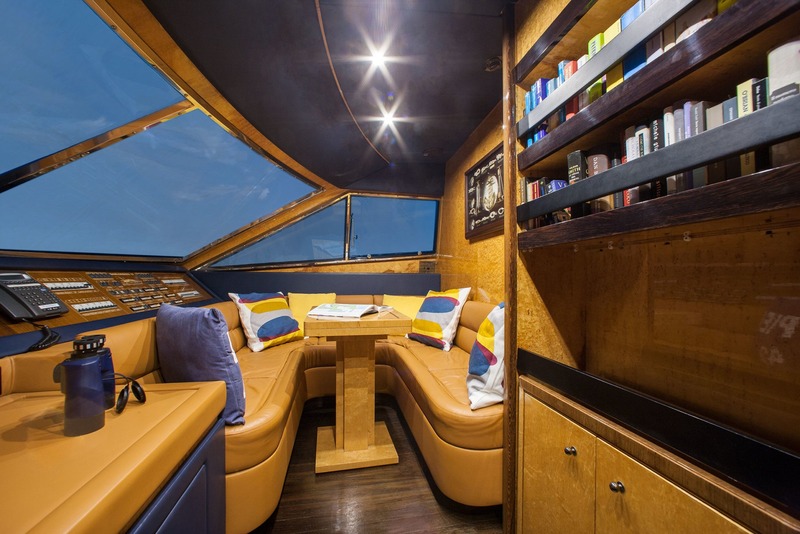 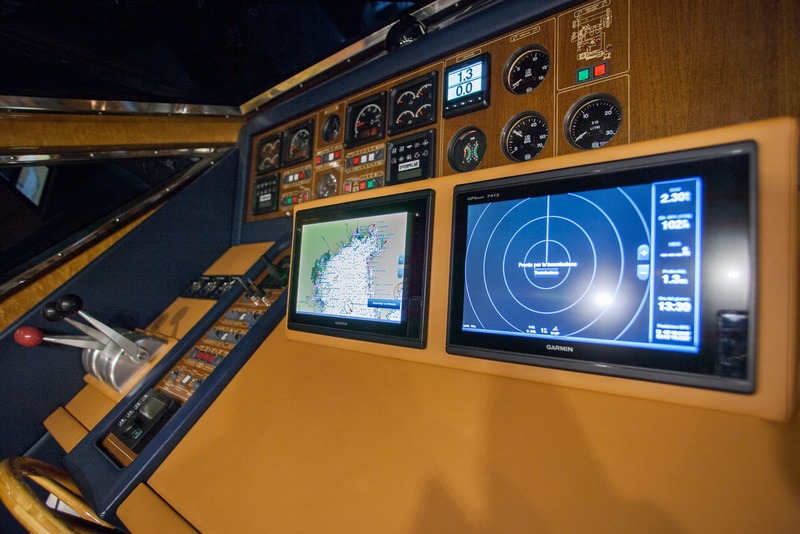 Guests have a cosy setting to relax in the main deck helm station, where there is a U-shaped seating area with a table and a library along the aft walls. 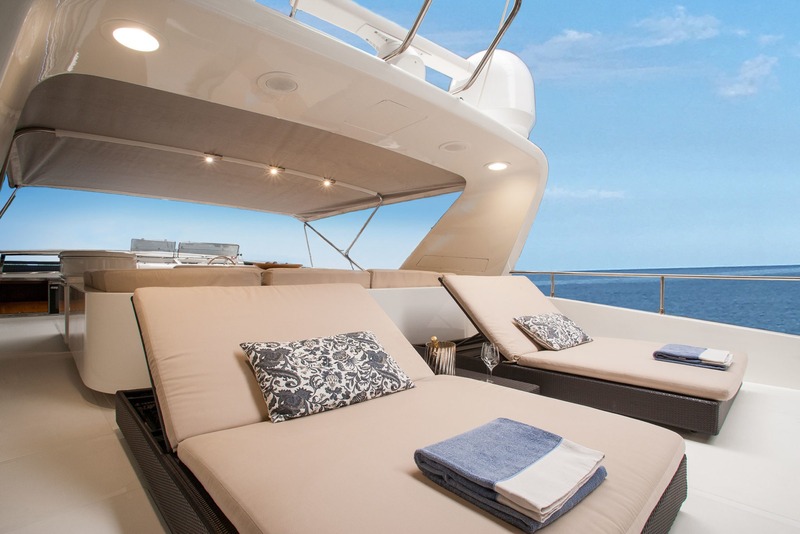 The spacious aft salon places the six-seater formal dining area at the front and behind, three sofas placed around a coffee table on the starboard-side ensure that guests can enjoy excellent views in air-conditioned comfort. 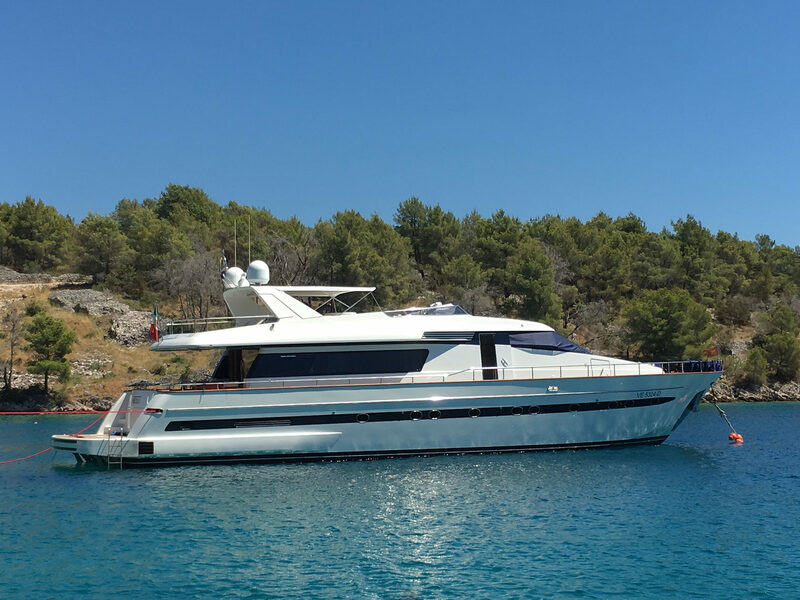 A pair of Caterpillar engines producing 1,400 HP provides a top speed of 26 knots and a cruising speed of 20 knots with a range of 350 nautical miles. 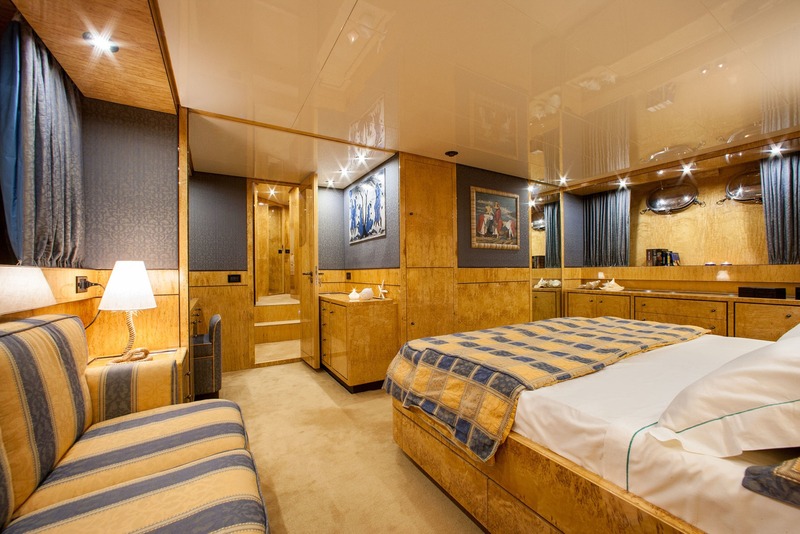 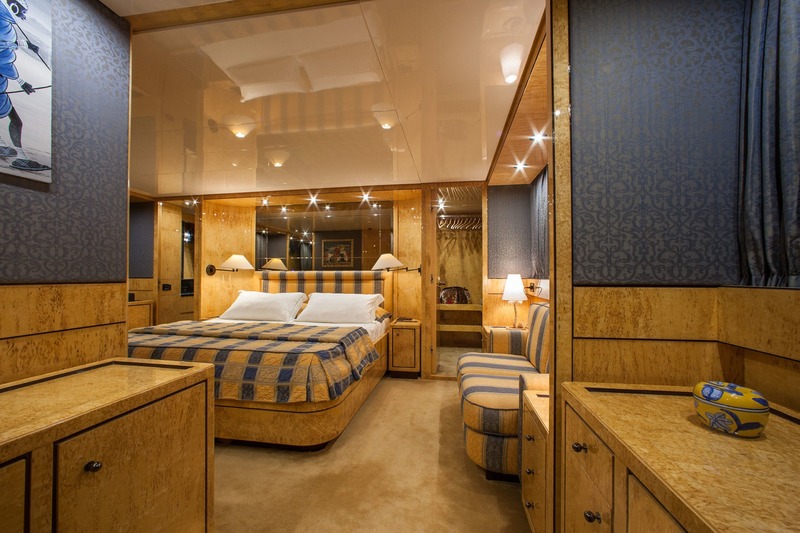 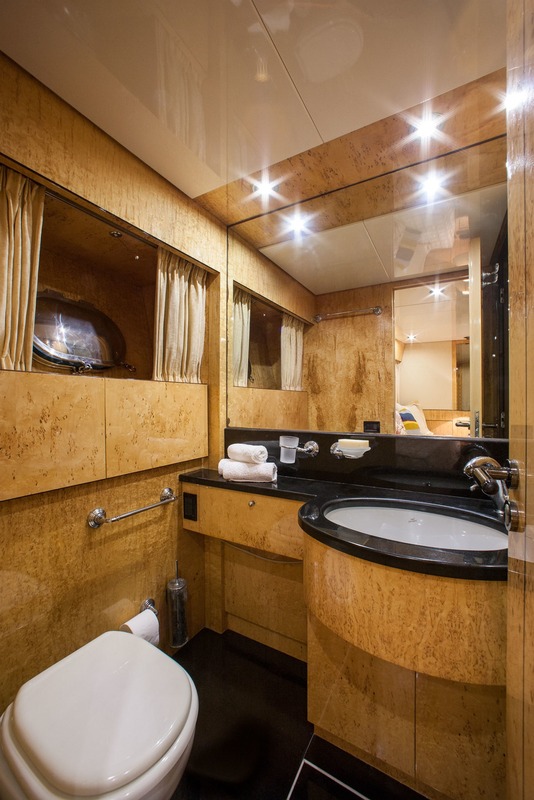 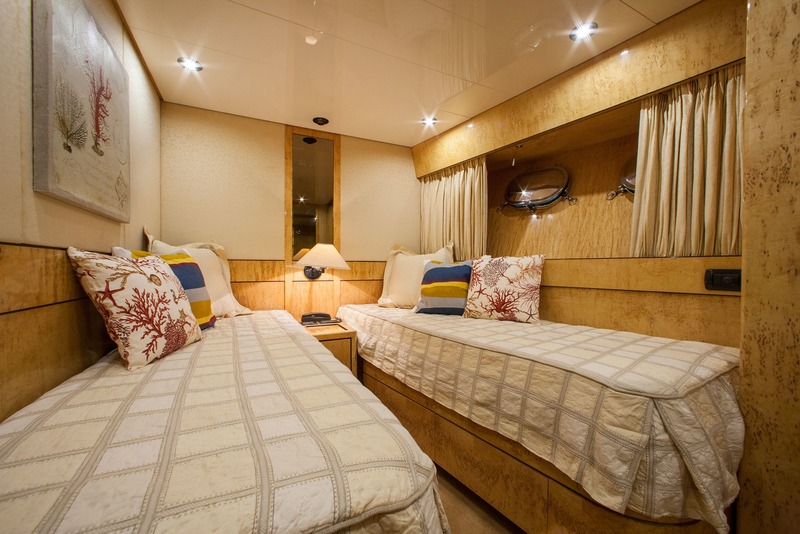 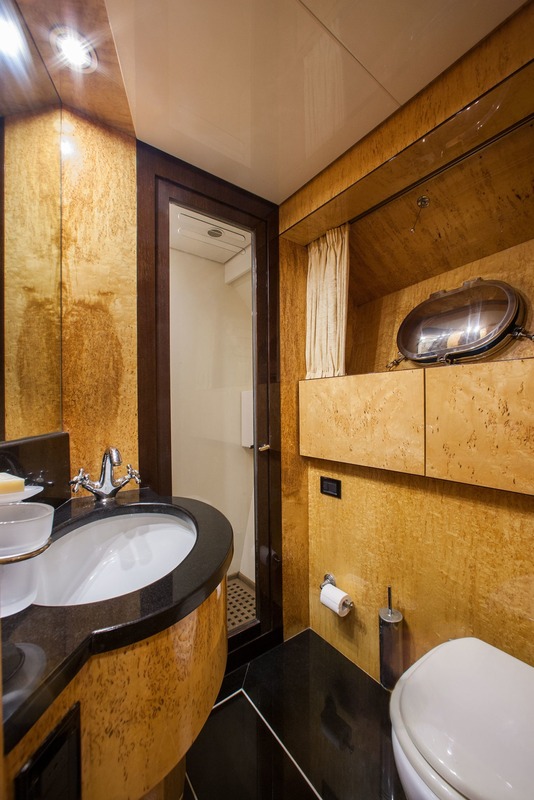 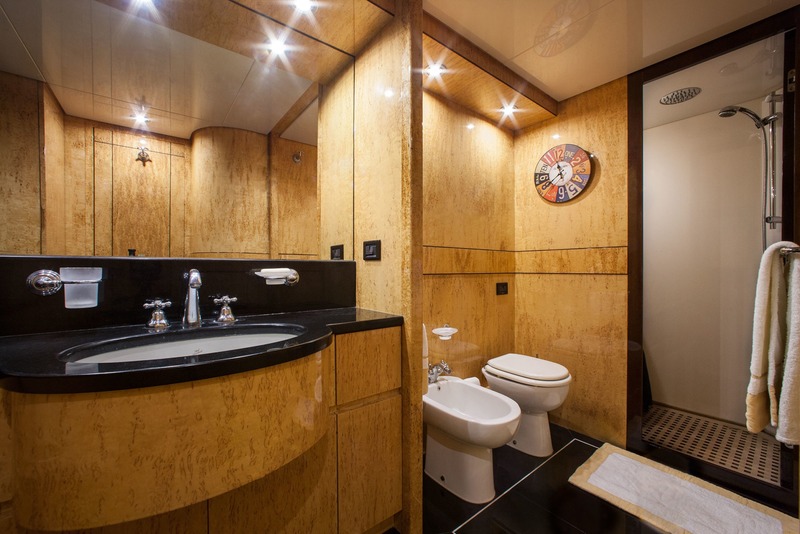 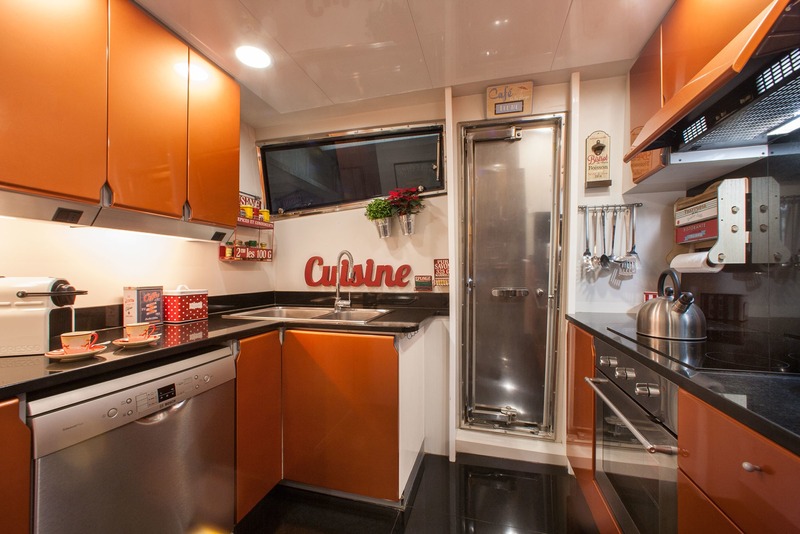 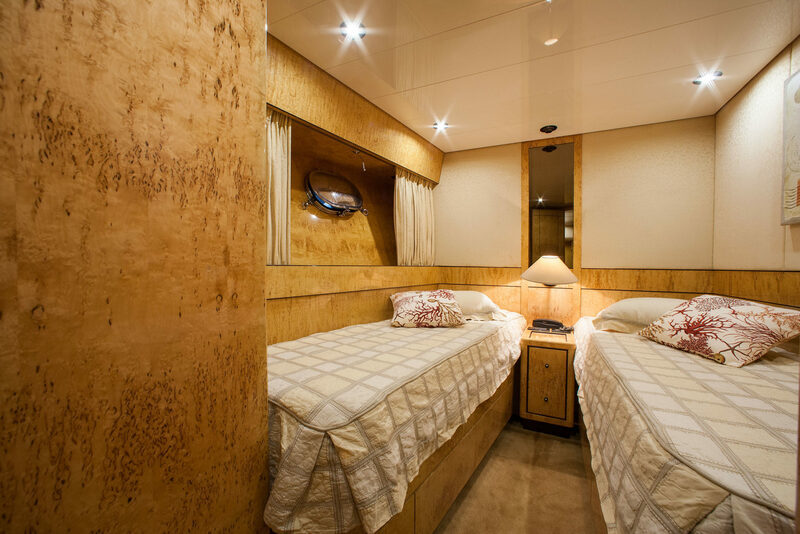 Eight guests find accommodation in four cabins: there is one spacious master can with ensuite bathroom and a large walk-in wardrobe, one VIP cabin with ensuite, and two guests cabins with two single beds both with ensuite bathrooms. 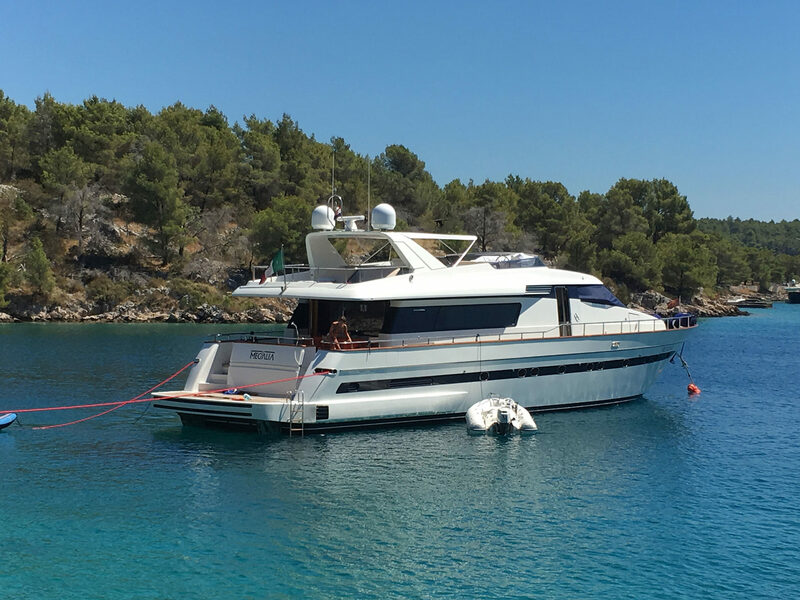 We do have available further amenity, owner and price information for the 25.35m (83' 2") yacht MEGALIA, so please enquire for more information.